Springbrook Spree 2019 – Nature’s Garden! Springbrook Spree 2019, Nature’s Garden, held March 2, 2019, was a wonderful success. This annual auction fund-raiser, organized by the Springbrook Nature Center Foundation Board, included an excellent buffet dinner and two different style auctions. This was the third Spree to be held at the gorgeous new interpretive center. Attendees could study the exhibits while bidding in the silent auction and holding lively conversations. 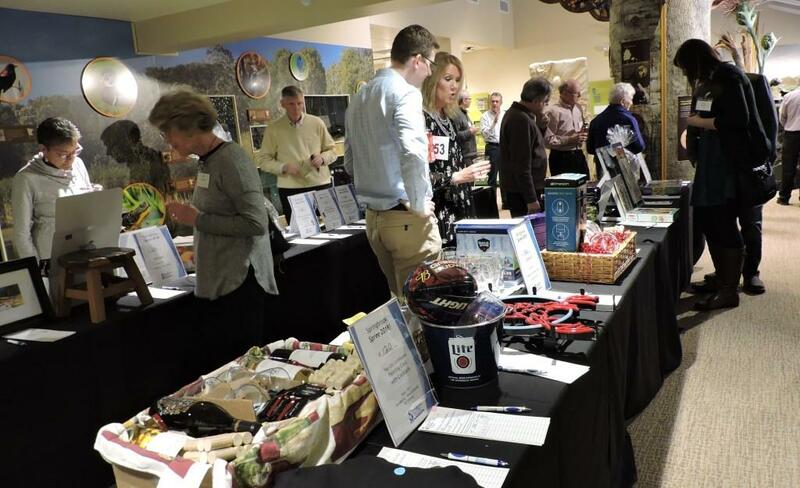 The fundraising included the Mystery Wine Cabinet, the Mystery Garden, the traditional, well stocked Silent Auction, and the Big Live Auction for high value items. Auctioneers, Fridley Mayor, Scott Lund, and long time volunteer, Jeremy Powers, zestfully conducted the live auction. Mike Maher, Springbrook Nature Center Director, provided a quick update of Springbrook’s wonderful programs. All funds raised at the Spree are used for the benefit of the Springbrook Nature Center, a fabulous community resource. To everyone who attended and to those who donated to the Spree, a big THANK YOU. Please browse the 2019 Spree Program to view the Spree Sponsors, the Merchant/Organization Donors, Restaurant Run Donors, the Individual Donors, and the Spree Committee. Please patronize the many Merchant/Organization Donors listed. And please plan to attend the 2020 Spree (Saturday, March 7, 2020).